​In this collaborative workshop targeted towards teachers and school administrators, Mrs. Joy Ferrara will lead conversations on how to grow a theatre program to affect change with staff and students in their school district. 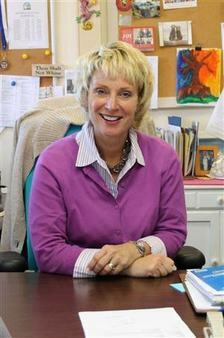 Joy Ferrara has been an educator for more than 23 years. She taught in the Commack School District for 10 years and became an Assistant Principal at Hauppauge Middle School in 2003. Since 2010, Joy has been the Hauppauge High School Assistant Principal and has been an advocate for the Hauppauge Theatre program. Working directly with Ruthie Pincus, Hauppauge’s Theatre Director, Joy has brought real-time school issues to the theatre students and charged them with creating relevant monologues and short vignettes to inform and engage the faculty and student body.